The Theme Song for Cleveland and Akron is a commission with Front International in partnership with the Rock & Roll Hall of Fame. 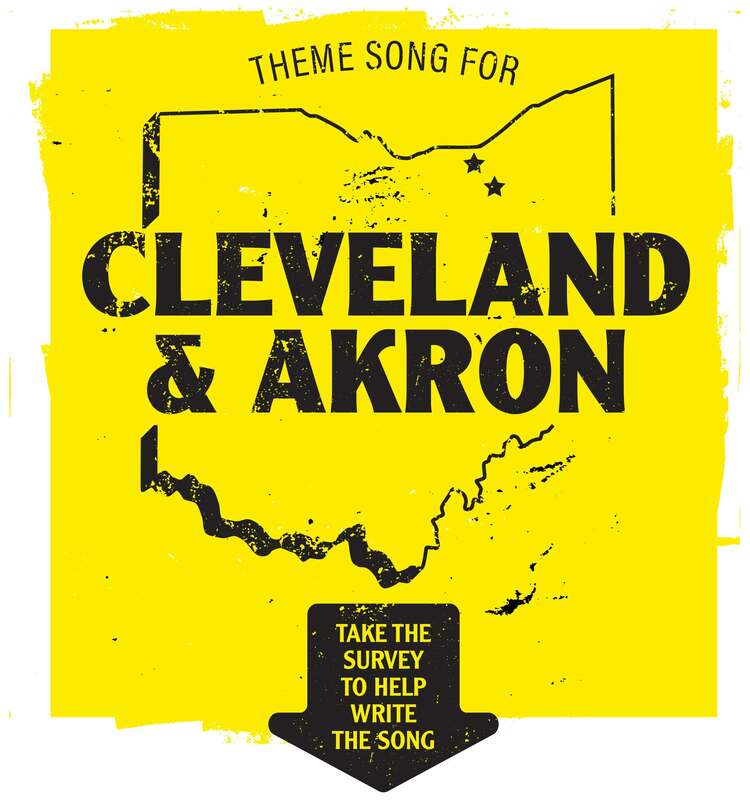 The song will be written by the citizens of Northeastern Ohio via this survey. The lyrics and music will be compiled by filmmaker/writer Jonn Herschend and musician/composer Silas Hite. The song will then premiere as a music video at the Rock and Roll Hall of Fame this July and run through the end of September. * 1. With which city do you most identify? * 2. In one word, what is your favorite thing about Cleveland? * 3. In one word, what is your favorite thing about Akron? * 4. Which of the Following? Choose only one. * 5. What is the most iconic building of Akron? * 6. What is the most iconic building of Cleveland? * 7. In a few words, how would you describe winter in either city? * 8. What character trait do you think best describes the people of Northeast Ohio? * 12. Do you swim in Lake Erie? * 13. If you moved from the region, what would you miss? * 15. What is your favorite neighborhood in Cleveland? * 16. What is your favorite neighborhood in Akron? * 18. When you think of Cleveland and Akron, which of these colors come to mind? * 19. Where do you go on Saturday nights? * 21. What is a food from the region that you just can't get anywhere else? * 23. What does Northeastern Ohio have that no other place has? * 24. What's the best thing about Cleveland? * 25. What's the best thing about Akron? * 26. How would you describe the men of Northeastern Ohio? * 27. How would you describe the women of Northeastern Ohio?